NL200 series DPSS Q-switched nanosecond lasers offer high pulse energy at kHz repetition rates. End-pumped design makes this laser compact and easy to integrate. Harmonic generation modules for 532 nm, 355 nm, 266 nm and 213 nm wavelengths can be combined into one module, easily attached to the laser frame. Featuring short pulse duration, variable repetition rate and external TTL triggering, nanosecond diode pumped NL200 series Q-switched lasers are excellent cost effective sources for specific applications like pulsed laser deposition, ablation through mask or intravolume marking of transparent materials, when higher pulse energy is required. 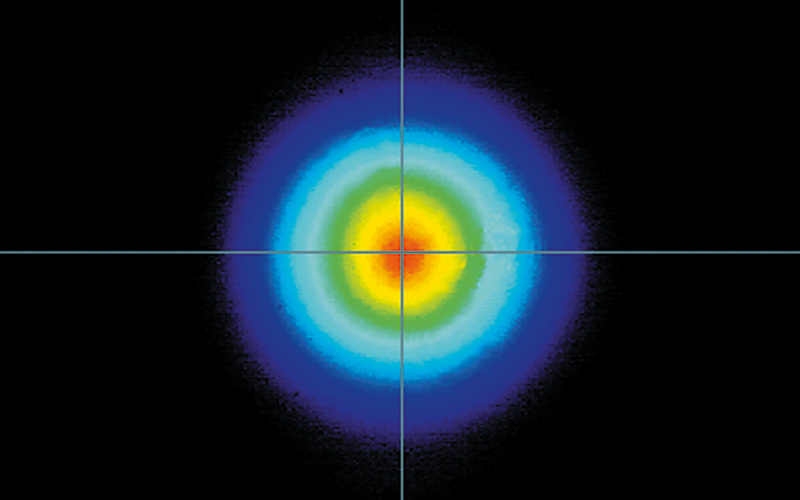 Excellent energy stability and a wide range of wavelength options make this laser a perfect tool for spectro­scopy and remote sensing applications. Mechanically stable and hermetically sealed design ensures reliable operation and long lifetime of laser components. Due to continuous improvement, all specifications are subject to change without notice. Parameters marked typical are not specifications. They are indications of typical performance and will vary with each unit we manufacture. Unless stated otherwise all specifications are measured at 1064 nm. Unless stated otherwise all specifications are measured at 2500 Hz pulse repetition rate. Unless stated otherwise all specifications are measured at 1000 Hz pulse repetition rate. Unless stated otherwise all specifications are measured at 500 Hz pulse repetition rate. Averaged from 1000 pulses at 1064 nm. Over 8 hour period when ambient temperature variation is less than ±2 °C. In internal triggering mode. In external triggering mode, pulses are available from single shot. RMS value measured from 300 shots. Respect to Q-switch trigger pulse. Up to 10 m is available on separate request.